Need a holiday? 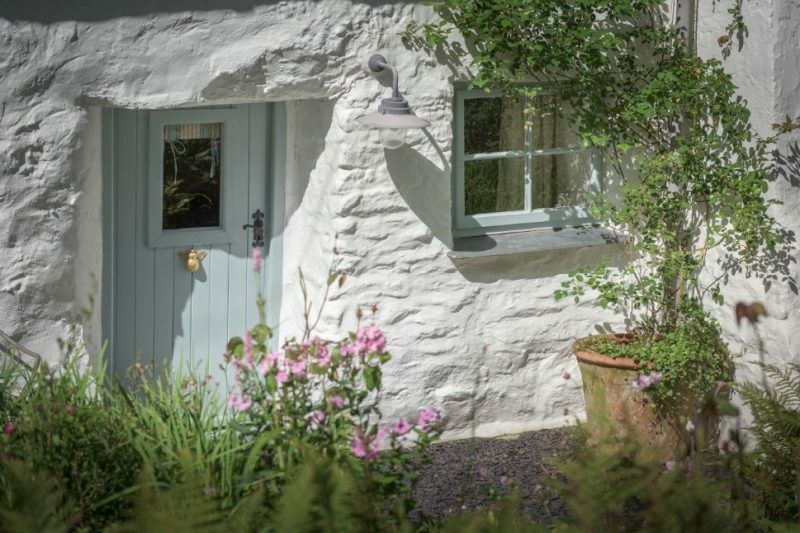 This little stone cottage in the Cornish countryside looks like the perfect spot for one. This book-lined corner looks so cozy by the fireplace, doesn’t it? Sweetpea Cottage sleeps 1-2 guests from £795 per week. 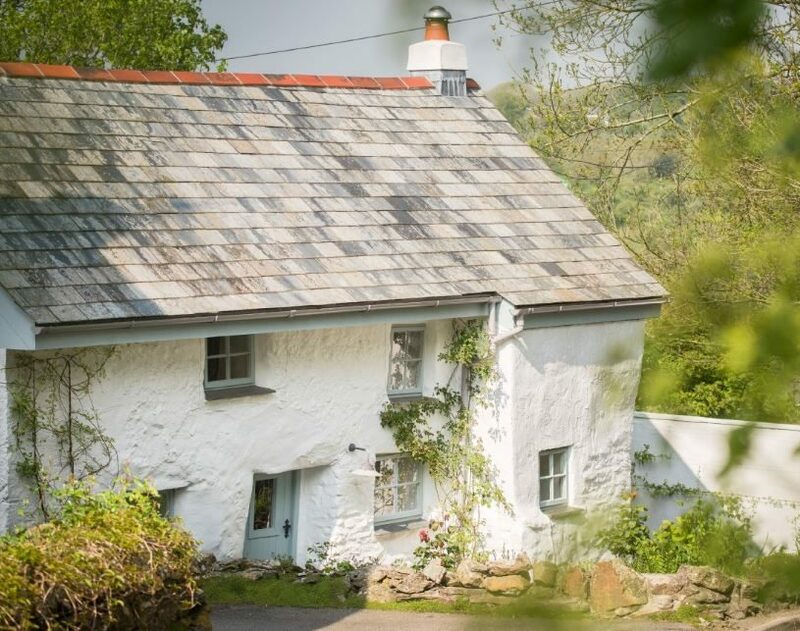 “After a day spent trekking the beaches on horseback, frolicking in the surf or rambling along the breath-taking coast path, a tranquil haven awaits on return to Sweetpea Cottage.” Can’t you just picture yourself trekking and frolicking along the coast?? “Pull the cork on a good bottle of wine and cook up a hearty supper to enjoy beneath the soft glow of the chandelier. Curl up in the antique armchair by the inglenook fire and discover more about the local history through reading tales of the Cornish smugglers who once frequented the coves nearby. 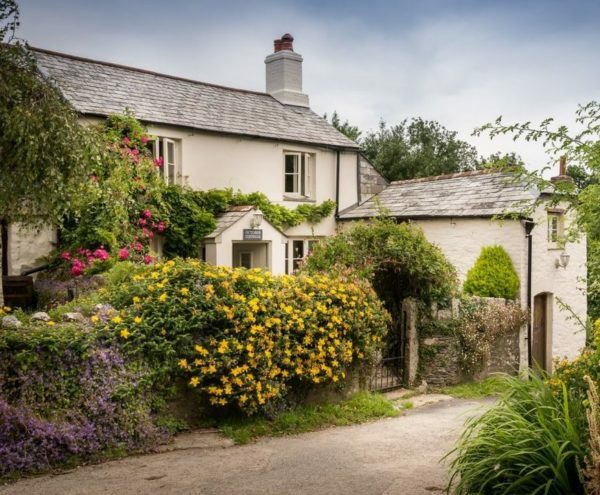 Want to visit Sweetpea Cottage in Cornwall? Check Unique Home Stays for all the photos and rental information. Hi Julia, this is so lovely, sure would be nice for a long stay and mix with the locals. It’s 12.40 am good morning….here I am spending time with my son watching Robot Chicken I think I’m having a brain freeze I just don’t get sick humour. Thank you for sharing beauty. Till next time Regards Esther from Sydney. Why does it look like the one door has the handle up so high? Am I seeing that right? That’s funny, I hadn’t noticed that. Looks like an original cottage door, though, doesn’t it? Could it be the bathroom on the other side? The handle placed high to keep children out? It does look like it leads to the bathroom, doesn’t it? Oh Julia, what a charming cottage! Thank you for sharing. I would live there and be content in a cottage by the sea, just my fella and me. Seriously, that is going on my bucket list for a vacation spot. Yes, please!! Absolutely perfect. I feel a little more relaxed just looking at the pictures. Holy crap Julia I need to live there! Ahem, let me regain my composure. Well, isn’t that just a lovely cottage? Seriously, move me in!! That was pretty much the same reaction I had when I saw it, Fiamma! Ha. Love it. No need for the nursery for me though lol Although, it’s adorable. Lovely! The decor is to die for! Love the mix of shabby chic, country and rustic. The way the homeowner describes it makes it even more appealing! The only thing that might concern me is the structure, but I guess that wouldn’t bother you if you were a guest and not the owner of the property. Totally adorable. I would love to stay at such a lovely cottage in Cornwall. Heck, I wish I owned it. Dreamy. I’d load up my Kindle with books by Daphne du Maurier, Rosamunde Pilcher, Mary Stewart, and Marcia Willett and soak up the atmosphere. Don’t need the nursery, though it’s precious – not planning on bringing the grandchildren along! Oh yes, and I love the name! Those books would be perfect reads for this kind of setting. Sounds good to me! The tone and setting of this little cottage style home is just so beautiful and overwhelming. The accents of colours with in and outside make it so elegant and calming, Its decisively big from some pics it looks small and quaint but its actually a very big cottage.Looks like I have to change what I want as a dream house now..
Oh my stars, how I would *love* to snuggle up in that little window seat in the second photo, with the fleece/sheepskin and read till my heart and soul are content! Lovely little cottage. That walled garden is divine. The whole house is so cozy and perfect. So many little hidy-holes to snuggle in to. I have to say – somehow I had lost your website and this morning after about 3 years I found it again. YEAH!!!!!!!!!!!! SO HAPPY!!!!!!!!!!!!!!!! Perfect! I think I’d need to stay there for a good couple of weeks. After all my frolicking and trekking, I’d want to relish each little nook and cranny. And then there’s that lovely back courtyard! Julia: I can’ thank you enough for posting this little dream cottage. Your site has always been a refuge for me. It’s like having tea in comfy chairs and chatting with a friend. Today, the timing was perfect. Thanks loads, and from the bottom of my heart. Oh, and P.S. is this cottage for sale or rent? I want that walled garden!!! Oh man. It does have the feel of the little cottage from The Holiday…but with a larger bathtub! 🙂 On our next trek across the big pond, I need to rent this one! Yes to frolicking, trekking and sauntering! My favorite rooms: bathroom (heated towel rack w/radiator) and that wonderful patio! Thanks! This is like something out of a BBC production! Makes me want to book a month and just settle in, read, walk, and sleep in. I love how big the kitchen is for a cottage, and updated as well. I was not familiar with the website for these types of luxury homes for vacation rentals, so thank you very much for posting. I found 2 cottages in the Cotswold area for rent as well. What a find. I JUST LOVE EVERYTHING ABOUT THIS COTTAGE CAN I LIVE THERE NOW I AM RETIRING AND I NEED THIS COTTAGE! Well, that’s given me something to aim for next time we visit my aunt & uncle in Cornwall!! (they are in this area) So, so pretty. Why can’t I get my house to look this pretty, organised and restful?! ?